I was drawn to this exhibition by its intentions to loosely re-interpret a classical landscape painting in three-dimensional form. The piece itself didn’t suggest these painterly origins to me. However Cornaro also aims to explore our perception of reality, and walking inside the work to examine it from all angles engulfed me in Cornaro’s constructed reality, delivering an experience that was active and engaging. 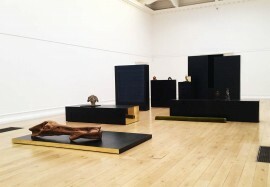 According to the accompanying text, ‘Cornaro uses found objects imbued with symbolic potential or emotional value, which she presents in different types of display and media to reveal the subtle shifts of meaning provoked by processes of reproduction and translation.’ It was clear that objects chosen were carefully considered. 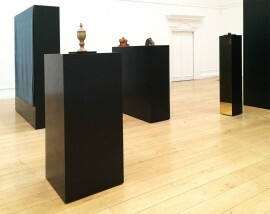 They are offered for our inspection presented on plinths, but not all are easy to see; one has to balance on tip toes to catch a glimpse of some. The inclusion of rolls of fabric were unusual and intriguingly. Overall, I felt the objects themselves were perhaps less important, whereas their method of display and precise placement were not. 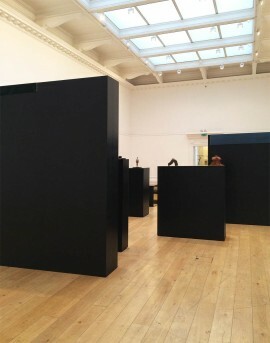 Cornaro intends a structured composition that ‘reinforces the illusion of perspective.’ As you move within the installation, dark plinth monoliths jut, loom, intrude and block one’s gaze. Copper reflections interrupt, subtly pulling the viewer into the installation. 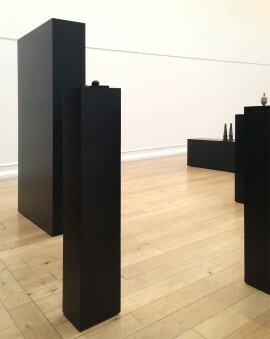 This exhibition was thought provoking. It left me very aware of the relative passivity of the viewing experience of a wall-based piece of work in contrast to the more active opportunities offered by an installation. Nine months ago I made the initial version of To accrete n.05 movie stills which transfers a collaged physical artwork into a series of still shots. It fractures viewing into small slices that gradually reveal a whole, an exercise both in giving and withholding information. Overall I was happy with the general approach of the piece but felt this early version didn’t balance offering initial details that gradually build to construct an impression of the whole before making a final reveal. The second version of the film addresses this by re-shooting all of the imagery and spending this additional time allowed me to become more familiar with the form and composition of the collage, resulting in better shots. I’ve been pretty successful in getting the work shown – seeing it as a large projection amidst a series of other films made me realise its lack of sound was a missed opportunity. 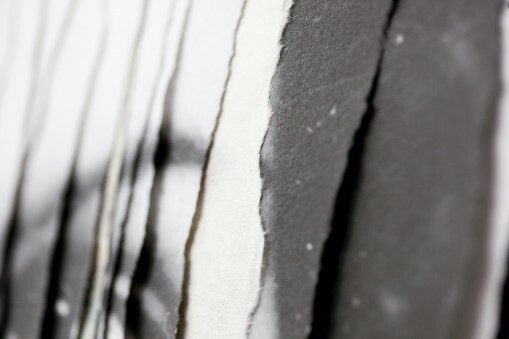 The sound track I then produced is simple – a repeated gesture relating to the making of the original collage – in this case the tearing of paper. 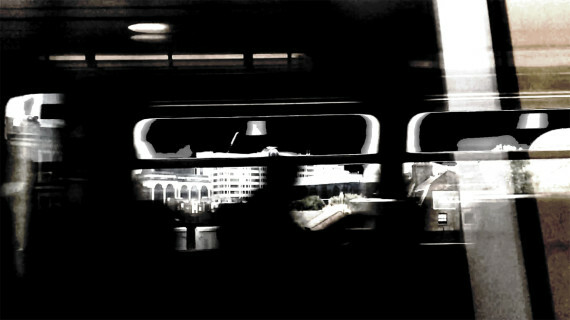 It’s recorded on my I-phone and played back as two altered and slowed-down sound tracks. The results were fine through the computer but its showing at the 51zero festival revealed the audio was too distracting. Version three of the film simplifies the sound to a single track and reduces the overall volume into a gentle wave of noise that starts as a subtle background murmur and builds to an assertive level in a short section of the film. I’m happy with this although experience tells me I need a full-scale projection experience to confirm it’s finally finished! This version is made in Adobe Premiere Elements 12, and I did discover to my cost to use MP3 rather than MP4 audio format if you don’t want it to disappear from the final film! My thinking about what I’ve made has refined as I’ve worked with the piece. It’s really more of an animation than a film, and I view it as yet another form of collage; disparate fragments re-positioned to create something new. The piece manipulates power / control. Film is a much more controlling mechanism than the original collage. I can’t control how someone looks at a picture on a wall, but a filmic approach fixes frame, order, and duration. Yes, the viewer may choose not to look at all, but if they do, they are subject to my will. My approach plays with materiality. Original photograph becomes scanned digital information and then collaged physical object, returning to photograph to finally end in film. Obviously there is no reason for this play and dislocation to stop here – it could continue endlessly. 1 Sabine Kriebel, ‘Theories of Photography; a short history’, in James Elkins, Photographic Theory, (Abingdon: Routledge, 2007), p.34.